If you can't make it down to London to take part in the marathon this year, you're not the only one. Our dear Tim Peake, Britain's first astronaut aboard the International Space Station, is also unable to attend, what with being in space and all. Fortunately a very clever bit of kit is allowing Tim to run the whole marathon from the space station, and we've had a go on it too. We test the RunSocial Tread Tracker. 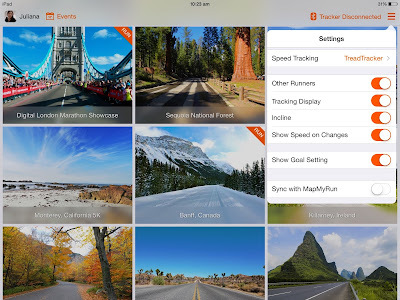 RunSocial is essentially an app – just for iOS, mind – with several famous marathon routes programmed into it. Users can sign up and 'run' the same route as many other people, at the same time if they so wish, from a treadmill anywhere in the world. So if you, like Tim, find yourself far from London at the time of the marathon, simply use the app while running on a treadmill to track your speed and time. Easy, right? Actually, yes. The RunSocial app lets you download HD videos of the real running route, so it isn't just a case of being told you're now rounding Marble Arch, as you can actually see the real thing going by on your iOS device. 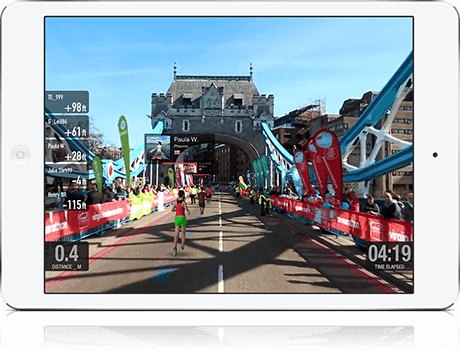 Cast from your iPhone or iPad to your Smart TV or Apple TV, and you'll get the view on the big screen, immersing you in the environment that the runners who are actually there are experiencing. Certainly beats the inside of the space station, eh? But how does your iOS device know how quickly you are running, and where on the route you should be? 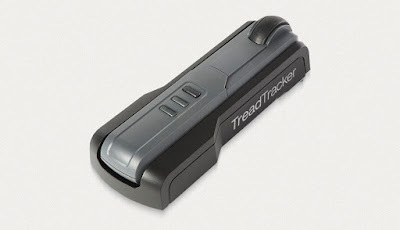 The Tread Tracker is RunSocial's hardware product, and the reason this system is so smart. The wireless unit simply slides underneath your treadmill and gently presses a wheel to the underside of the running surface. Once paired with your phone or tablet via low-energy Bluetooth, it can directly track your speed, updating the RunSocial app with your relative position on the route. Because of this make sure your treadmill has a partially exposed surface on the underside, with at least three inches of ground clearance BEFORE you buy it – we've used (and owned) treadmills in the past that were fully enclosed. 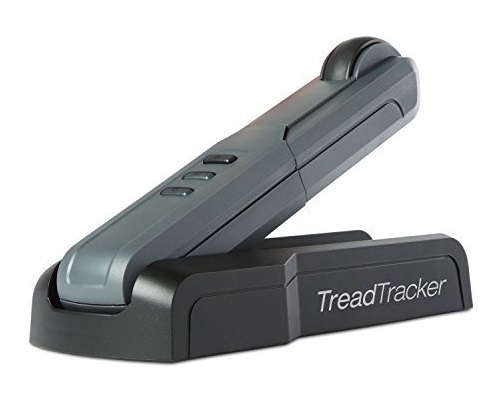 Thankfully it's easy as pie to set up and connect to your device, and the sensitivity of the tracker wheel is accurate enough to feed the app the correct data – which we checked by comparing it to the actual speed and distance discerned by the treadmill itself. Apart from taking part in mass events such as the London Marathon, RunSocial and the Tread Tracker are great ways to make your training as fun and as social as possible. Short distance courses are also available to download, and it is very easy to organise simultaneous runs with friends from across the globe (or in space, so it would seem). We're looking forward to continuing to use it to explore more routes as they are added, and we're also quite excited about the future of this kind of social technology. Imagine a RunSocial app designed for a VR headset, and you'll be able to look around you as you jog along. Actually, would someone mind running the London Marathon with a 360 degree camera for us? Cheers.